No Hands Proxies is a revolutionary new kind of proxy harvester that will do absolutely everything for you from finding new places to get fresh proxies from, downloading the proxies and checking they work. It will never end in its quest to find you more proxies and ensuring that all proxies it has found are still working. Unlike other proxy checkers that require you to find your own proxy lists No Hands Proxy Harvester will do all of the heavy lifting for you, literally all you do is click the Go button and let it work. 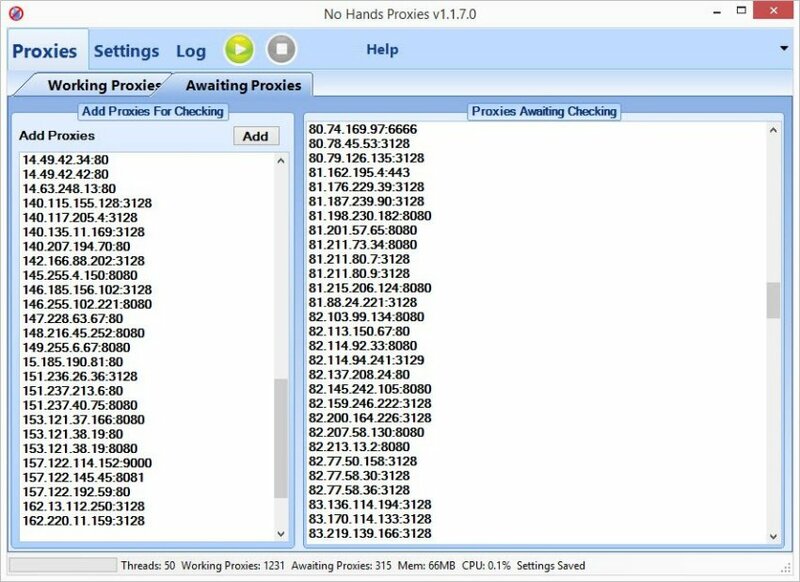 That is no problem as No Hands Proxy Harvester can distinguish and filter out proxies that are not specifically wanted. This is the list of all of the found working proxies along with some basic information about their speed (latency), level of anonymity, the region they are based in and the last time they were checked as working. Here you can clearly see a list of proxies that are awaiting checking along with an easy to use control for adding in your own list of proxies for checking. 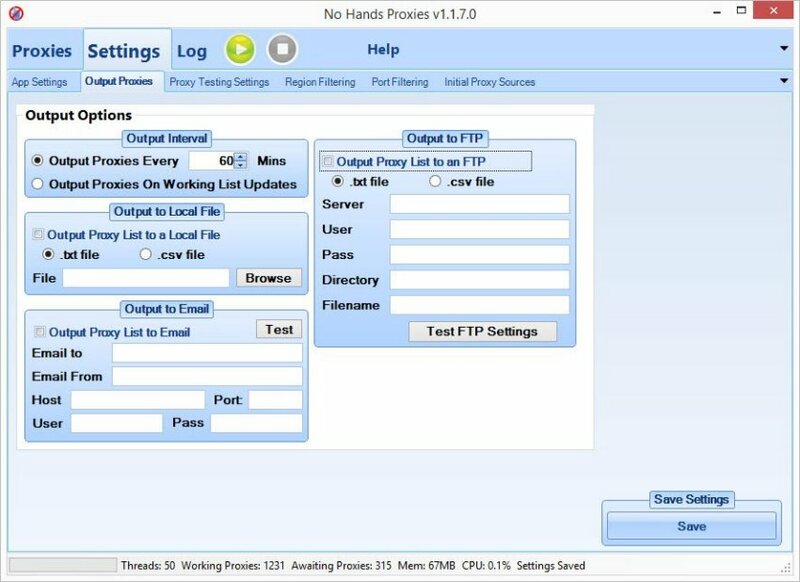 Adding of your own proxy lists is entirely optional as No Hands Proxy Harvester will find an endless supply of proxies for you without you having to ever lift a finger. As you start harvesting and checking proxies all actions will be recorded to the log so that you can see exactly what is happening at anyone time. When a search for new pages is performed, page is scraped of proxies, proxies checked etc it is all logged in here so you can easily see what is going on at any time. All of the important application settings in one place for quick editing of how NHP works. This is all optional and needn't be changed if you are not sure of how it works. Here there is even a Max Threads checker to see how many threads your internet connection can handle. The more threads you have NHP running at the more proxies it will be able to find. Easily set how to output your list of proxies choosing whether to output to a file, to an FTP server or to an email address. You can choose one, none or all of these options. Easily select any regions that you do not want to receive proxies from or alternatively check any countries that you only want proxies for. For example if you only wanted proxies in the U.S you would check the box next to United States, it couldn't be any easier. This is especially useful if you wish to make use of services that are limited to a specific region. Examples of this could be region locked news websites or video services designed to only work in a specific country. As with the region filtering the port filtering is incredibly easy to use, simply add in any ports you wish to block or the only ports you wish to have your proxies based on and No Hands Proxies will do the rest for you. Most software and services do not have any limitation as to what port is acceptable for proxies. However some software and services will either require proxies with a specific port or refuse to use proxies on a given port. Out of all the proxy scrapers and checkers I've used over the years, this program is already one of the all around best. Simple ease of use, speedy, and doesn't use excessive resources even when pushing 500+ threads. Filters the checked list by anon level, country, timeout, and website pass, then exports to your choosing of either local file or ftp which is essentially all you need. It's been keeping a solid 1-2k anons online at all times, with sometimes half as L1s. At this price you'll be hard pressed to find something of this value. I've been using this app 24/7 for a month or so. Using it to supply a little proxies to NHS and GSA. It's doing it's job perfectly without any problems whatsoever. It's faster and more stabile with every release. It promised thousands of working proxies, and it sure delivered. I was subscribed to a paid service, which provides working public proxies, but after trying No Hands Proxies, I have already cancelled my subscription. It's a great tool, and with that price, it's a bargain. The support is great, and it's backed by the developer of No Hands SEO. A tool that is still being updated after years of its release. I can recommend this tool to everyone. You won't be disappointed. i saw this was updated almost every day and is working better and better. i scrape good proxies pretty fast then i use them for scraping and posting. i don't need anymore to pay any cent for shared proxies. 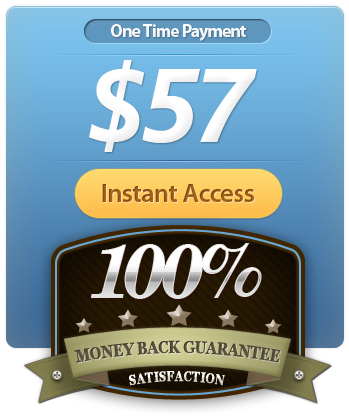 the software is working great ,never crashed ,never had any issue and is very easy to use,few clicks and you are done. as long i am using also No hands seo ,i am sure this tool will not be abandoned as other providers did with their tools over the time. Great support and fast response, good job on the software, this proxy checker is extremely fast. One of the fastest I have seen yet.